Just a quick post today- an ATC- handpainted Poppy. I had my paintes out for another project and got the bug again. 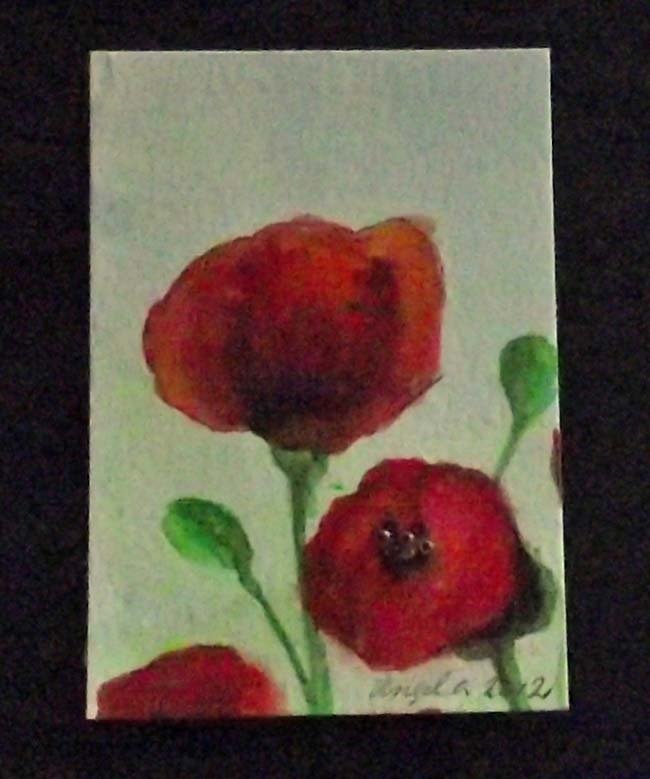 I have prepared a canvas with the outline of a Poppy and I am working through some watercolour 'try-outs' before I commit to the canvas. This was an ATC for the daily challenge at the Craftymessers FB page. I quite like messing with the paints again. Great Fun!!!! The poppy is lovely. You are obviously very tallented with a paint brush.